Peak is the son of two famous mountain climbers, but when his need to climb pushes him off a skyscraper and into trouble, Peak's family life is also turned upside down. Leaving his mother, stepfather, and half-sisters in New York, Peak embarks on an adventure to climb Mt. Everest with a father he hardly knows. Will he become the youngest climber to reach the summit? This book has been a favorite read-aloud with my 5th and 6th grade classes. It moves quickly and holds the interest of even for the most outdoor-challenged readers. 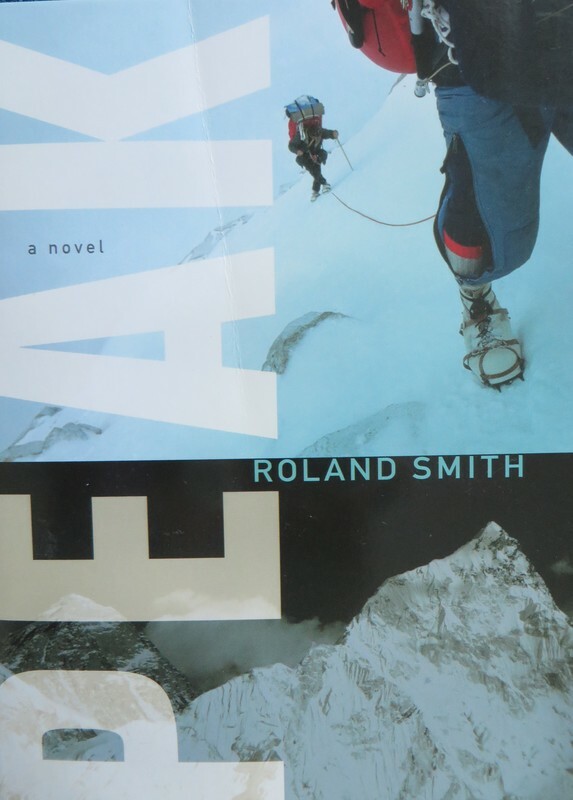 Peak's conflicts with various family members are relatable to readers, and the life and death circumstances he faces on the world's tallest mountain are conveyed with details that non-mountaineering readers can understand. A few plot elements invade the story's realism, like a Chinese officer with a Javert-style dedication to locating a Tibetan teenager, or Peak's father's willingness to take his son on such a dangerous excursion. However, the book offers many opportunities for discussions about responsibility, ethics, and priorities. It's an enjoyable book that makes readers think. "When you're at the end of your rope, there's nobody better than Joshua Wood."